Get alerts on stocks that are about to be promoted and learn how to trade pump and dumps. We teach you how to profit from penny stock pumps. Important Note: Membership for this service has reached its membership limit and is currently closed. Subscribe below to get notified when a membership spot opens up again. Subscribe to the Pre Pump Spotter for a low monthly price of just $49.97 or save by signing up for the annual subscription and get 2 months free. Pre-promotion alerts and access to our full list of tickers that we believe will be promoted. Potential Breakout Alerts and Collapse warnings on popular promotions. What we believe will be the next pump by some of the biggest penny stock newsletters. Bonus Savings: Sign up for a year and get two months free! What is the Pre Pump Spotter? – We find upcoming stock pumps/promotion before they happen. The way this trading strategy works is to buy early and profit from the rise in share price that usually happens once a stock pump/promotion begins. The Pre Pump Spotter trading strategy is all long-biased (no shorting). We trade OTCBB and pink sheet stocks trading under $1. If you want to learn how to identify stocks before they are promoted, and also how to make smart trading decisions and protect your capital, then join Pre Pump Spotter. Why Trade Stock promotions? – Stock promotions are one of the best ways to make money in stocks. If you can get in earlier before the pump, you have to potential for even larger gains. The trick is finding them before others do. We find potential stock pumps before anyone else and send you alerts. What is a Stock Pump/Promotion? – A stock pump is when a stock promoter attempts to make the price of a stock go up through recommendations based on misleading or exaggerated statements. The most common way to promote stocks is through email. Many of you have most likely received emails touting a stock as the next big thing. We teach you how to make money trading these stock pumps by getting in and out at the right time. 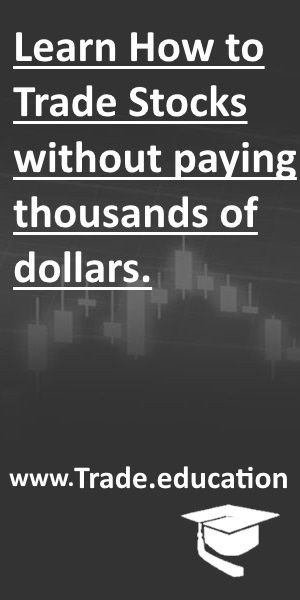 What We Don’t Offer – If you are looking for dozens of stock picks sent to you every minute of the day, five days a week, then this isn’t the service for you. Only the most solid set-ups and highly probability plays are highlighted on Pre Pump Spotter’s watchlist and pre promotion stock alerts. We typically do not short pump & dumps. Shorting usually requires finding a ‘special broker’ to locate scarce short shares in a margin account typically with a higher minimum balance requirement and more expensive fees. How Much Do I need to Start Trading? – This service can work with any account size. Big or Small. We have found that our service is especially appealing to traders with smaller accounts (less than $2K) as anyone can buy shares in the company as long as they have an online broker. Why Join Pre Pump Spotter? – We take the cautionary stance when it comes to trading because it protects traders from making unnecessary trades and to wait for the bigger potential winners that will always come along. To get the best value from this service, be patient, read the watchlists, wait for the best set-ups to unfold, get in early, don’t get greedy, take profits and move on to the next pump. Don’t be afraid to leave profits on the table because many stocks we trade are volatile and you don’t want to be left holding the stock when it eventually tanks. Your small membership fee will be covered a thousand times over by the profits you will make by subscribing.